Thankyou to all of you for your kind comments. 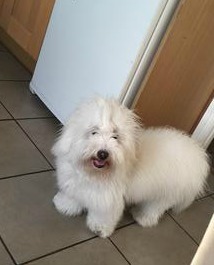 We are having lots of fun with Billy,he just gets cuter and cuter.He is just a bundle of joy. He loves going to the park and playing with the other dogs.We are working hard at his recall skills and he is getting better at it. Hi Billy you are just adorable! Your parents are going to have loads of fun with you. 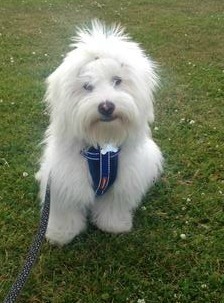 Everyday is a fun new day with our 6 year old Coton, Charlie. Oh, I love his haircut! 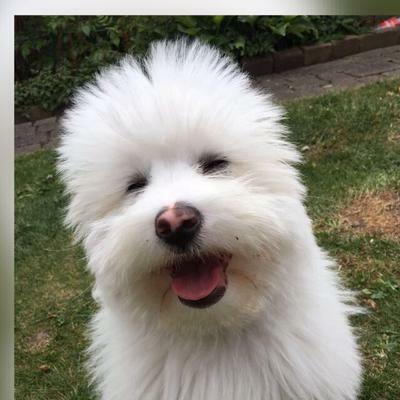 Nothing's cuter than a Coton.